Professor Deryck Schreuder has had a long career in education and scholarship and is currently a Visiting Professor in the Faculty of Education and Social Work at The University of Sydney and Adjunct Professor at the Humanities Research Centre, The Australian National University. Born in South Africa, Professor Deryck Schreuder attended Rhodes University in the Cape for his undergraduate education and then returned to teach high school in Zambia before taking up a Rhodes Scholarship to Oxford. He was awarded his Oxford D Phil in 1967 and and then became Kennedy Fellow in Modern History at New College, Oxford. He later worked in Canada, where he was a member of the founding faculty of the new University of Trent in Peterborough, Ontario.member of the founding faculty of the new University of Trent in Peterborough, Ontario. He first came to Australia with his family in 1976, as a Research fellow in the Research School of Social Sciences at ANU. Deryck Schreuder was 2nd Vice Chancellor and President of The University of Western Sydney; Deputy Vice Chancellor (Academic Affairs) at Macquarie University; 4th Challis Professor of History at The University of Sydney (the foundation chair of history in Australia); Associate Director of the Humanities Research Centre at The Australian National University; 16th Vice Chancellor and President of the University of Western Australia; President of the Australian Vice Chancellor’s Committee and a member of the Council of the Association of Commonwealth Universities. He has also been closely involved with scholarly organisations and served extensively on professional bodies. Currently, Deryck is Chair of the Board of the Australian Universities Quality Agency and a recent member of the Development Advisory Group for the Research Quality Framework and Convenor of the annual national conference on university governance. 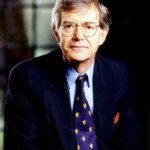 Throughout his career, Deryck has been recognized for his scholarship with invitations to visiting research professorships at leading universities internationally and awarded the title of Emeritus Professor at Macquarie University, The University of Western Sydney and The University of Western Australia. In 2004, Rhodes University conferred the degree of Doctor of Laws (honoris causa) on him and in 2008, Deryck accepted an invitation to Chair the Prime Minister’s Australian History Prize Advisory Committee for that year. A renowned scholar of modern international history, with a special interest in colonial and post-colonial societies, Professor Schreuder has written extensively on imperial and colonial history. 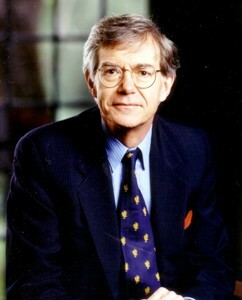 His publications include the “Australia” volume in the Oxford History of the British Empire Companion Series, edited with Stuart Ward (OUP, 2008).